Mitchell Crane is a worldwide supplier of new aftermarket replacement crane parts, as well as a source for used parts and components. We are located in Houston, Texas and Bryan, Texas and have a sales staff with experience and knowledge of parts and machines that our customers have come to depend on. Started in 1957 by Beryl Mitchell and still family owned and operated, Mitchell Crane has a strong commitment to customer satisfaction. We’re working to keep you working. We have a mobile mechanics fleet which does repairs on-site; or, if the repairs are more extensive, our repair facility in Houston is available for longer repairs or rebuilds. 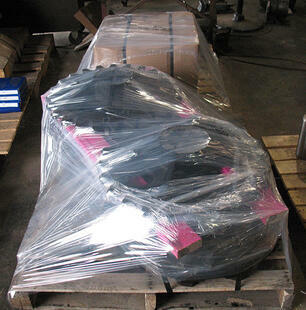 The rebuild facility in Houston can rebuild a complete machine or a particular component. Manufacturing at Mitchell Crane is located at our Bryan facility. We can machine items with a wide range of capabilities with our CNC Mills and CNC Lathes. With one of the largest machine shops in Texas, industries we now serve are: construction, oilfield, marine, material handling, farm/ranch and more. For more than 50 years, Mitchell Crane has served our customers in the Houston area and around the world. We have been, and continue to be, “Your Complete Crane Source." Mitchell Crane sends parts and products around the world on a daily basis with the highest regard for time and preservation.